Today’s question: Can dogs eat mangoes? As mangoes are also known as “king of fruits”, there’s no doubt that mangoes do not only taste good but have a lot of health benefits as well. However, that’s for us humans, but what about dogs? Can dogs too eat mangoes? Can Dogs Eat Mangoes? The Quick Answer! Yes, dogs can eat mangoes. It’s even beneficial for dogs to eat some mango as these fruits are an excellent source of vitamin A and potassium as well as many other important nutrients.There are, though, a few things to consider when feeding mangoes to your dog, so don’t leave just yet. While dogs can eat mango fruit, they cannot eat mango seeds. Mango seeds just like the seeds of most other fruits contain cyanide, which is poisonous to dogs. Mango seeds are also large enough to pose a choking hazard or get caught in a dog’s intestines and cause intestinal blockages. While there’s not enough cyanide in a single mango seed to cause any serious harm to your dog, the choking hazard and intestinal blockages are still a threat to your dog’s life, and therefore it’s definitely for the best to remove the seed before feeding a mango to your dog. Can Dogs Eat Mango Skin? Although, mango skin is edible, a lot of people don’t like it. For some people, eating mango skin can even cause an allergic reaction like a bad skin rash. If, for one reason or another, you don’t like to eat mango skin as well, then you might think about feeding it to your dog. However, can dogs eat mango skins? Unfortunately, the answer is no, dogs should not be fed mango skins. The first problem with mango skins for dogs is urushiol. Urushiol is the oily compound found in mango skins that causes allergic reactions in humans when it comes to contact with skin. Because a dog’s skin is protected by a furry coat, the compound often simply doesn’t reach the skin; but if some oils from the mango skin would get on your pet’s skin, then she could get a bad rash from it as well. Besides that, as dogs don’t have flat teeth, they won’t be able to thoroughly chew the skin and would have to swallow it in large pieces. This would cause unnecessary burden to the digestive system and can even lead to a stomach upset. As ripe mangoes are very soft, the fruit itself is still safe for dogs, just remember to remove the peels. If you brought home some mangoes, but didn’t manage to eat them in time and they started to rot, then you might not know what to do with them. You don’t want to eat the rotten fruit yourself, but what about your dog? You might think that maybe your canine friend doesn’t mind rotten fruit, but that’s actually far from the truth. In fact, rotten fruit can be dangerous for dogs to eat, so never give your dog rotten fruit. Surely you’ve heard that alcohol is poisonous to dogs, well, rotten fruit produces ethanol, so it’s just as dangerous to dogs as alcohol. So, unfortunately, there’s nothing you can do with the rotten fruits but throw them away. You should also never give your four-legged friend any moldy mangoes or other moldy food. According to the Pet Poison Helpline, moldy food can be severely toxic to dogs and cause seizures and tremors. If a dog has eaten moldy food, then veterinary treatment is often necessary. How Much Mango Can Dogs Eat? Just like with all fruits, you shouldn’t feed your dog too many mangoes at once, as it could cause diarrhea, but how much is safe? For medium and large sized dogs, eating one or two mangoes a day is not only safe, but healthy as well. However, if you have a small dog, then I wouldn’t recommend to feed her more than a few pieces of this fruit. It’s important to moderate the amount of mangoes and other fruits your dog eats, because fruits contain a lot of dietary fiber. Dietary fiber is good for your dog’s digestive health, but getting too much of it is bad, it can result in loose stools and diarrhea. It would be totally okay for a dog to have one of these tasty mangoes, but remember to take out the seeds and remove the peel. We have answered the question whether it is safe for dogs to eat mangoes or not, but there’s still an important question to answer: Would eating mangoes benefit our dogs in any way? The answer to this question is also yes. As I already briefly mentioned in the beginning of the article, mangoes are a great source of many valuable vitamins. For one, mangoes are an excellent source of vitamin A, which has many important functions in your dog’s body. E.g. it’s essential for your dog’s eyes, skin and fur. 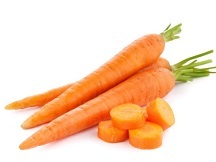 Vitamin A deficiency in dogs can lead to poor vision, muscle weakness and many health problems. For two, mangoes are a good source of potassium. Potassium is also very important for your dog to be healthy. Potassium is required for the proper function of enzymes, muscles and nerves in your dog’s body. 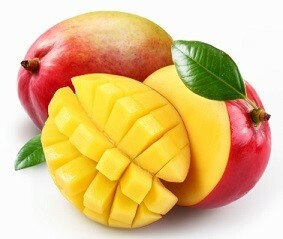 Last but not least, mangoes would provide your dog with antioxidants. Antioxidants are important for your dog’s overall health and keeping diseases away. The antioxidants in mangoes are very powerful, they have even proven to help prevent cancer. Can Puppies Too Eat Mango? As long as your puppy is already eating other solid foods, it would be save to give her a little bit of mango as well. I’d recommend to start by giving your puppy no more than just a few small pieces of the fruit. Puppies have a sensitive stomach and it’s best not to upset it. An upset stomach would cause stress for the pup and a mess for you to clean up. It’s also important to know that not all fruits are safe for puppies and adult dogs alike. Grapes are downright poisonous to dogs and it’s also best to keep avocados away from dogs. In conclusion, mangoes are not only safe for dogs to eat, but beneficial as well. Mangoes are a great source of many valuable nutrients, so there’s quite a few health benefits to feeding your dog a little mango. Just keep in mind that dogs do not like the seeds, the peel and too many mangoes at once. Does your dog like mangoes? Join the discussion in the comments below and let us know what your dog thinks of the king of fruits. “Moldy Food.” Pet Poison Helpline. Web. 3 Oct. 2015. “Fat Soluble Vitamins: A, D, E & K in Dogs.” Veterinary & Aquatic Services Department, Drs. Foster & Smith. Pet Education. Web. 11 Jun. 2016. “Potassium Requirements in Dogs.” Veterinary & Aquatic Services Department, Drs. Foster & Smith. Pet Education. Web. 11 Jun. 2016. 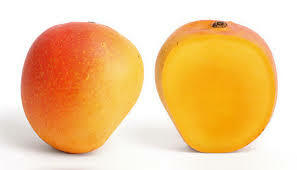 “Study: Mango Prevents Certain Cancers.” CBS News. Web. 11 Jun. 2016. Can Dogs Safely Eat Vanilla Extract? We have two Golden Doodles, a Mini & a Teddy Bear. Early on we learned they both had allergies. They have been on an all seafood dog food without the any fillers. Their treats are fruits & veggies. They love asparagus, sweet potatoes, beets, peaches, plums, apples, bananas, green beans, sugar snap peas, actually almost any that we eat. I think the only ones we avoid are grapes & tomatoes. Most evenings we add mashed sweet potatoes & pumpkin to their food. I think beets & watermelon are their favorite. It amazes me how many dog owners continue to buy packaged dog treats with God knows what is in them. I tend to cook a lot. When ever they hear me in the kitchen chopping they come running. Thank you for your information on mangos. They key for healthy dog treats is variety & moderation. My Doberman absolutely loves mangoes, as well as most other fruits. However, though she doesn’t have a problem with diarrhea, mangoes do cause nasty flatulence in her, so I limit her intake. I am glad to know that they are such a healthy treat for her. Tonight she will have mangoes along with her grilled salmon. Hi! Do you think it’s okay for dogs to eat mango sorbet as well? It’s one of my favorite desserts and would be awesome if I could share it with my dog. It depends on the ingredients. For an example, if the mango sorbet contains a lot of sugar, then it’s best not to share it with your dog. If it contains sugar substitutes, then know that those can be even worse. Xylitol is poisonous to dogs. I have a twenty five pound pug/cocker spaniel, is she a medium or small dog?How much mangos safe for her?